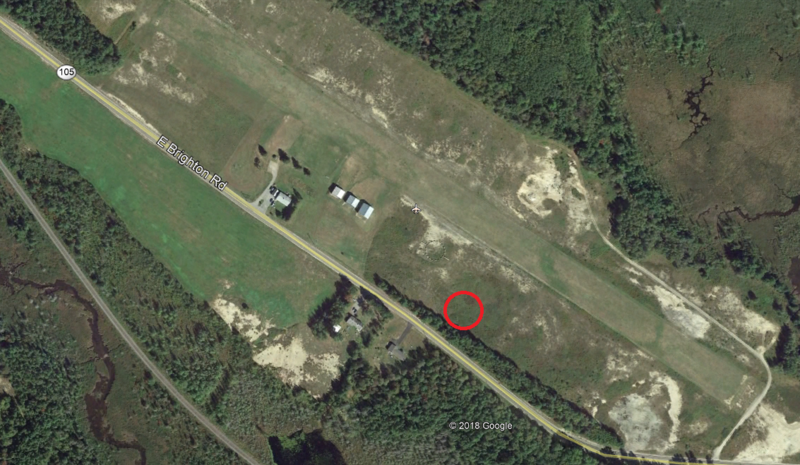 On August 25, 2018, about 1540 eastern daylight time, a Piper PA-22-150 airplane, N6936B, was destroyed when it collided with terrain while attempting to land at the John H. Boylan State Airport (5B1), Island Pond, Vermont. The private pilot was fatally injured. The airplane was registered to and operated by the pilot. Visual meteorological conditions prevailed, and no flight plan was filed for the personal flight that was conducted under the provisions of Title 14 Code of Federal Regulations Part 91. The local flight originated at 5B1 about 1500. A witness, who was also a pilot, was at his home when he heard the airplane depart and then later return to land at 5B1. When he heard the airplane returning, he used his binoculars and confirmed the airplane was owned by a pilot, who had the hangar next to him at the airport. The witness said the airplane was on the left-downwind leg for runway 32 and was at an altitude about 1,000 ft above ground level (agl). The airplane was in level flight and the engine “sounded great.” There was no smoke trailing the airplane. The witness lost sight of the airplane while it was still on the downwind leg of the traffic pattern and it was not until later in the afternoon that he learned the airplane had crashed. The pilot told the witness two days before the accident that that the airplane had been flying “great.” The witness described the wind conditions on the day of the accident as a southerly crosswind that was shifting about 10° left and right and were such that the pilot could have landed on either runway. The airplane came to rest upright on airport property on a heading of 070° and was mostly consumed by post-impact fire. The initial impact was a ground scar located about 10 ft forward and to the left of where the airplane came to rest. Several pieces of broken Plexiglas were found in the ground scar. Another ground scar extended about 13 ft to the right of the initial impact scar. Imbedded in the ground at the end of the scar was an unburned section of the airplane’s right-wing tip. All major flight controls were accounted for at the site and flight control continuity was established to the cockpit area. The left and right flaps were consumed by fire. The left and right-wing fuel tanks were breached and partially consumed by fire. The engine sustained impact and fire damage and remained partially attached to the airplane. The propeller spinner was crushed up and inward, and the engine was pushed into the firewall and cockpit area. The two-bladed propeller remained attached to the engine. The pilot [Mark Biron, Civil Air Patrol retired] held a private pilot certificate with a rating for airplane single-engine land, and instrument airplane. His last Federal Aviation Administration (FAA) third class medical was issued on June 21, 2018. A review of copies of the pilot’s logbook revealed he had accrued about 1,289 hours of total flight time, of which, about 362 hours were in the accident airplane. Weather reported at Caledonia Airport (CDA), Caledonia, Vermont, about 16 miles southwest of the accident site, at 1535, was reported as wind 120° at 8 knots, visibility 10 miles, and clear skies. Temperature was 79° F and the dewpoint was 57° F, with an altimeter setting of 30.23 inHg. Note: The NTSB traveled to the scene of this accident.